Two in a Million: Danny and Annie Perasa The story of Danny and Annie Perasa — how they met, and how they've stayed in love — inspires many who hear it. At a recent ceremony to honor the couple, they gave new insights into their relationship. Danny Perasa passed away at 2:30 p.m. ET as he slept. Annie says he was not in pain. Although he did not get to hear Friday's Morning Edition broadcast, Danny was aware that the story aired. I was reading Annie some of the hundreds and hundreds of emails we received from many of you at the moment that Danny passed. Over the past two years, Danny and Annie have come to think of all of public radio as a part of their family. Thank you all for helping to honor the life of this extraordinary man. He will be sorely missed. If you would like to send a note of condolence to Annie, please send her an email. Funeral services will be held Tuesday morning in Bay Ridge, Brooklyn. From Annie and all of us at StoryCorps, we thank you. I remember the morning that your first Story Corps essay aired. My wife and I had just had our first child and we were both over worked and over tired and constantly snapping at one another. Your story reminded us, high school sweethearts who met when she picked me up on the side of the road while I was walking to school, how much we meant to each other. I was deeply sorry to hear of your illness. My thoughts and prayers are with you both. When I heard your love story this morning I had to wipe tears away. I am only 30 and have been married to my Husband for 9 years and truly love him, but I do not feel he knows how much. You have inspired me to dedicate my time to showing him how much he means to me. If it was not for our love we would not have our 2 beautiful children. I will keep you and your family in my prayers. You have been blessed with something many people only dream of. I woke this morning to your story on NPR. Your love for each other is a reminder to me of what love is truly all about. Thank you for sharing your story. I am inspired by it. May God bless you both. My prayers and love join the circle of love around you. Thank you for sharing your deep love, friendship and joy with all of us through StoryCorps...I heard your voices, your words, and I will never be the same. Now, I am connected with you too; now I walk with a little more love in my heart. Please accept my sincere support to you during these difficult times. Stories like yours - so honest about marriage further inspire me every day to create a happy & loving marriage for my husband and me. I am so very blessed to be madly in love with my husband, and he is the greatest gift for me I could ever imagine. It’s the daily routine, living, calls, notes, even moving around in silence that make a great & supportive marriage. I am so sorry to hear of Mr. Perasa’s illness. 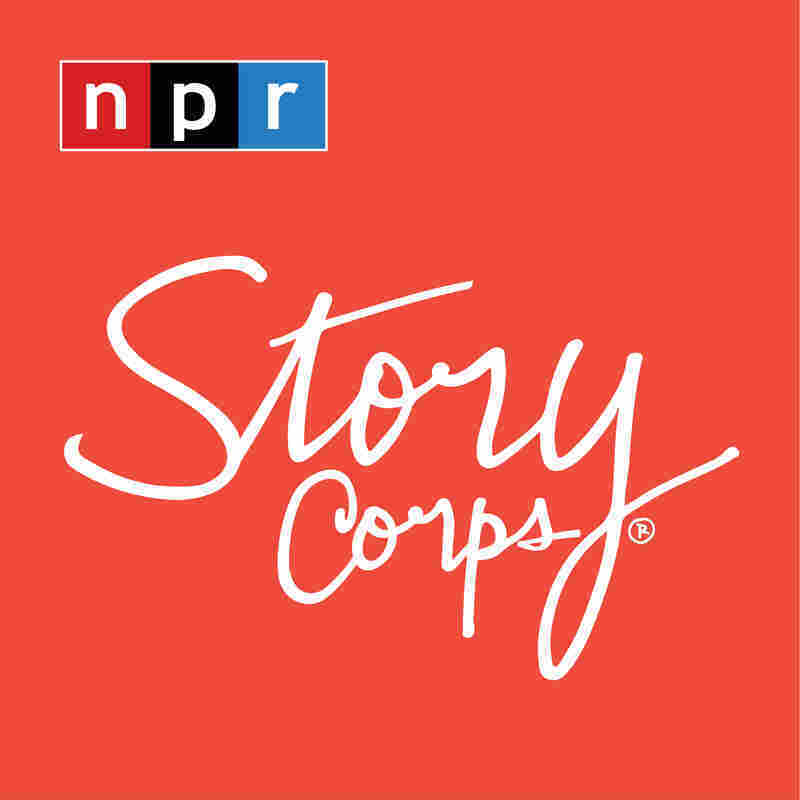 I think the entire NPR country cried during StoryCorp this morning. I certainly did. I recently lost my father, the slow way as I call it, and it is good in that you have time to speak the words that must be spoken before one passes. The grieving is difficult now, yet also beautiful – not only a tribute to my incredible father, but a time of reinvention, reinvigoration and renewal for my life, including my marriage. You have support from people you don’t even know….me. You two are an inspiration to me. I am in a loving gay relationship with a man I met four years ago via emails. We met in person and have been together ever since. I received a lift when I heard of your letters and notes to each other and when I listened to your story at 6 a.m. while getting ready for work. We too leave little notes and in many ways I could not help but be struck at how wonderful it still is after four years of receiving a daily reminder from him or to send him one from me. My partner is from Canada and we have decided to move there. I am in the process of receiving my immigrant visa. We have not heard back from the Canadian government but we anticipate a letter soon and hope to be moving sometime in August or September. It has been a big decision for us and I have thought about all of the changes in store for us but your story this morning brought something home to me. Life is about changes and motion but isn’t it lovely to know that love is always a constant in the scheme of things. Thank you for sharing your story and God Bless. I've never written a letter like this, but when I heard your story this morning, I felt I had to share what a joy it was. The dedication and love that you have for each other is amazing. I actually started crying on the way to work while I was driving. I don't think that I've heard lovelier words uttered by anyone other than Danny. You are both strong and vital people who inspire me. It seems that you do more than just love each other. You respect and cherish each other which is very rare in this world. When I heard that Danny was ill, my heart sank but as soon as I heard Annie's strength I felt that it would be ok and it was going to continue to be ok. I wish I could meet you and bask in the glow that is around you. I was driving to work this morning and heard your story on NPR begin as I was pulling in to get my daily cup of Starbuck's coffee. I sat in the car and listened as the two of you spoke and completed each other's sentences. Your love is so inspiring and beautiful it made me cry. The fact that Danny is now ill made the story all the more emotional. I am crying and can hardly see the keyboard as I am typing this. You made me feel like I've known the two of you all my life. I was so touched by your story of love. You made me realize what is important in life. Not the money or the material items, but true real love for another human being. I came into the office and went directly to NPR's website where I viewed your wedding photos. You look so very happy, I wish for you both all the time you need to love each other. Although even if you run out of time on this earth You love is the type that goes beyond life and death. It lasts for all of eternity. Thank you for letting me realize what is really important. I appreciate that more than I could ever tell you!!! As I sat in traffic this morning, on my way to work, I listened to the story about you and your husband on NPR Radio. There I am sitting at the traffic light crying tears of joy for you, my heart just wanted to burst. You and your wonderful husband have given me hope that there is a possibility that love, the romantic, unconditional, heart-filling type of love still does exists. I am sure that there were times in the past 26 years of marriage that you may have wanted to wring each others neck. But if not, then God has truly blessed you. Your life together has been filled with love, tenderness and much joy. May those thoughts and memories carry you on, until you will be able to meet Danny again in the next life. You are truly blessed, and thank you for sharing your story with strangers. Your story inspires me. It makes me want to climb to tall mountains and rejoice in the name of love. It makes me want to run out tomorrow morning and marry the love of my life. You have brought so much joy and happiness into so many lives it's unexplainable. The love that the two of you have for each other is amazing--- and I know that the memories that you have made will never fade in your heart as well as mine. In twenty years, I will be telling my grandchildren about the stories of an amazing couple that I never met but felt as if I knew all my life. God bless you both for sharing the power of your love. How very lucky you are. Your story on NPR this morning moved me deeply. My parents grew up in Brooklyn (East 4th Street and Albemarle Road) and married in 1942. 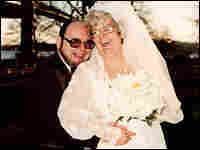 Their marriage lasted almost sixty years and had many of the same joys you describe. Hearing you speak reminded me of them--especially the Brooklyn accents!!! Wonderful! Prayers and heartfelt good wishes to you both. You are an inspiration.